A quiet moment in the spotlight. 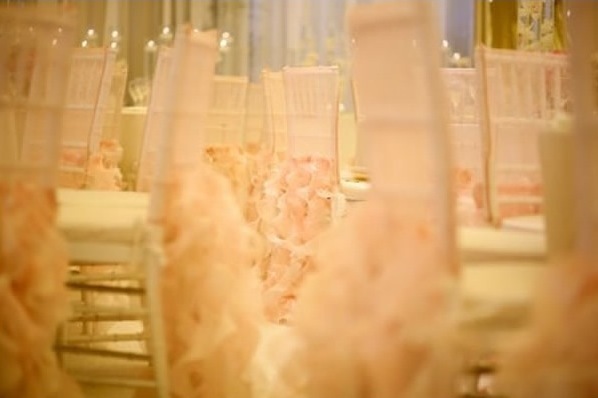 Normally I love my chairs clean and simple, but with soft lighting and a cascade of pretty pink ruffles complimenting classic white chiavari chairs, how can a girl not be utterly charmed? I love ruffles and I love pink! I normally don't like chair covers or shashes but these are to die for!